For their fifth album, young British choral stars Stile Antico turn to Thomas Tallis magnificent seven-part Christmas Mass, based on the plainchant Puer natus est ( A boy is born ). The mass is interspersed with seasonal Tudor music, including William Byrd s exquisite Propers for the fourth Sunday of Advent (from the Gradualia of 1605), responsories by Taverner and Sheppard, Robert White s exuberant setting of the Magnificat, and Tallis own sublime Videte miraculum. 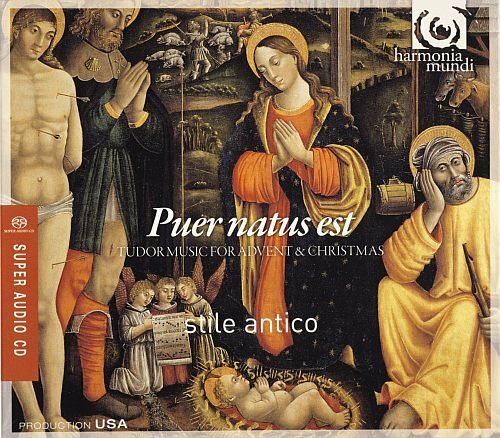 All of Stile Antico s previous recordings for harmonia mundi have charted on Billboard and the group has twice earned the Diapason d Or de l annee, the Preis der deutschen Schallplattenkritik and twice received GRAMMY® nominations. Their phenomenally successful 2009 release Song of Songs was the winner of a 2009 Gramophone award.